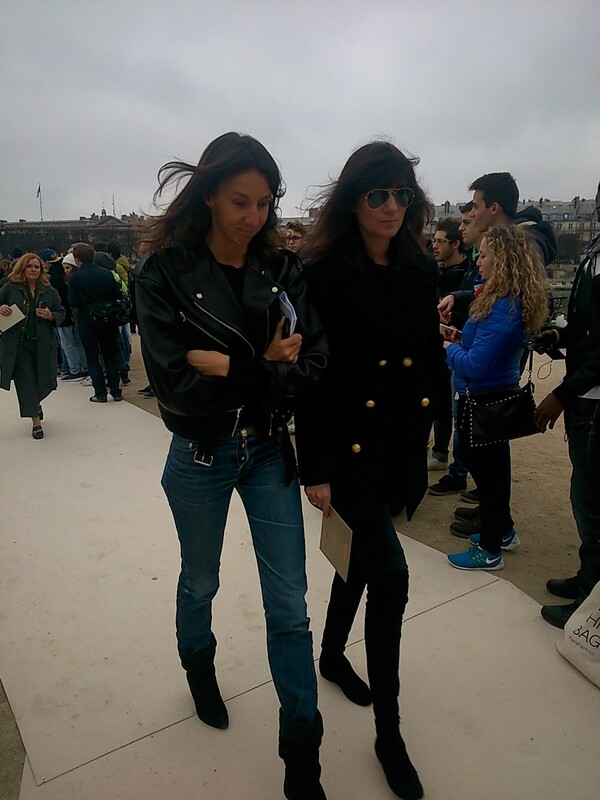 Again, my wonderful friend sent me street style pictures from Paris. 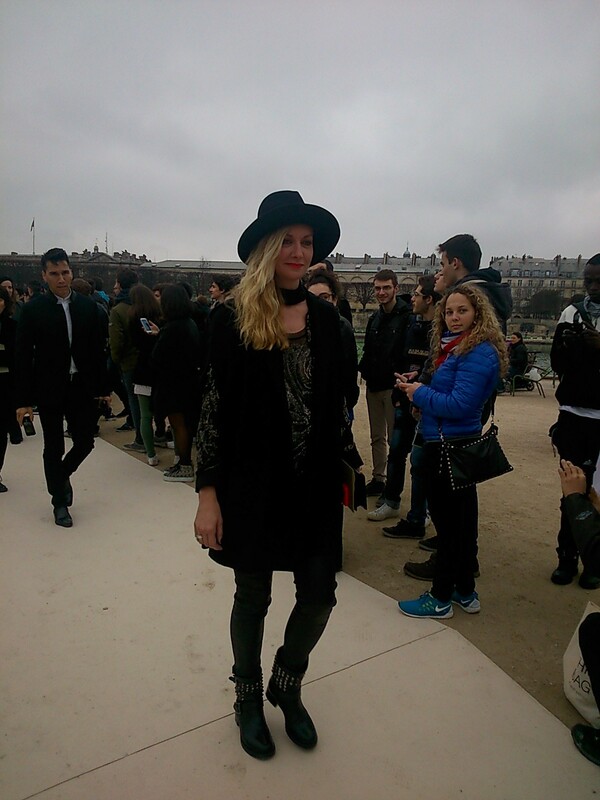 Pictures are taken in the Tuileries before and after the Valentino Fashion Show during Paris Fashion Week 2015. Love the flared leather pants in 70’s style as well as the green jacket and “les petits joueurs” handbag. Very chic! I LOVE the print and the fabric on this coat. Roughens up the otherwise classic look. Perfect.